Are we tired of winter? Oh, yes. Yes, we are. The calendar says Spring and things are sprouting, but East Tennessee had a soggy and cold end to March, which was inducing some cabin fever. 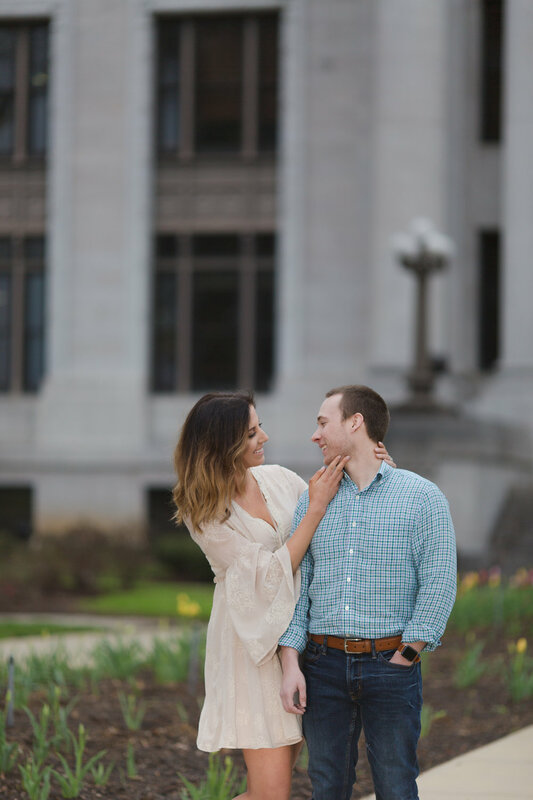 Fortunately, Katelyn and Zachary's engagement session in Chattanooga helped to dispel the gloom and light the day with their love for one another. 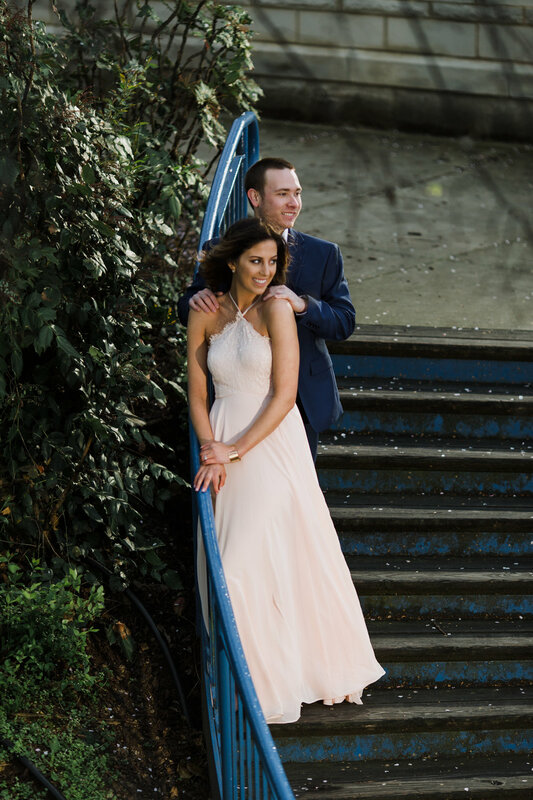 Elegant and stylish, I expect their wedding at the end of April at Stratton Hall will be stunning. And certainly a lot warmer. But you know, never let weather get in the way of a celebration. Ultimately, what counts is WHY people are gathered. These two helped me head into Easter with a joyful spirit. And that just warms my heart . . . even if my fingers don't match. Check out this golden couple!